Remember when Mansur Gavriel first gave us a peek at its first shoe collection, back in September? Well, your five-month wait has finally paid off. Net-a-Porter just stocked an exclusive assortment of gorgeous suede Italian-made mules from the brand (and a few bags! ), and we’re guessing they’re not going to stick around for long. The designers explained the aesthetic of the collection to British Vogue: “The shoes dovetail with the bags in that they’re also sculptural objects in classic silhouettes, which allow us to experiment with colour and fabrication.” The mules, a style everyone is clamoring for right now, will soon be the perfect complement to your spring outfits, or with a pair of cool socks if you (like us) can’t wait until the weather warms up to wear these beauties. 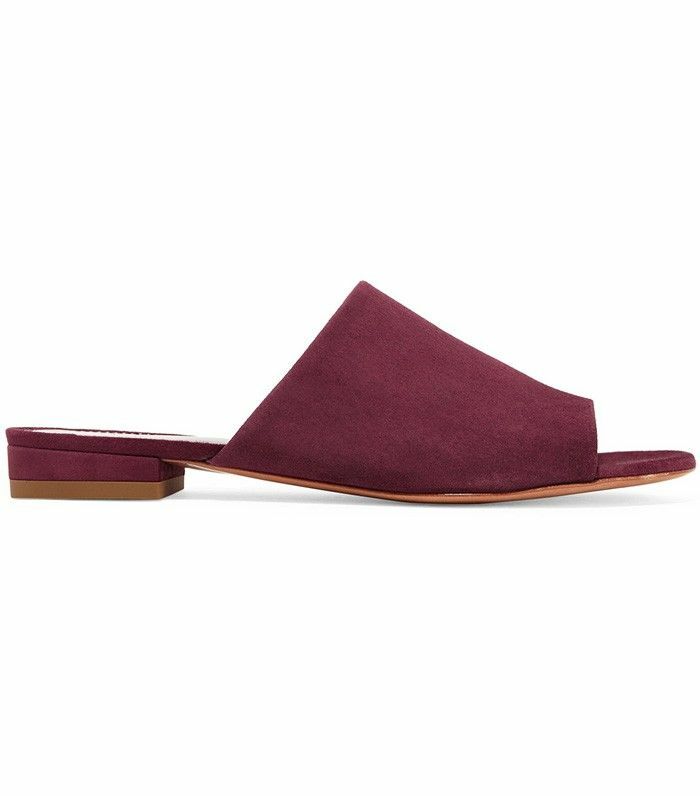 Scroll down to shop our picks from Mansur Gavriel’s inaugural shoe collection! Decisions, decisions! Pick your favourite and tell us how you'll wear them.